Shop Flowers - Cactus Market, Thailand. Offer cactus in gardening. 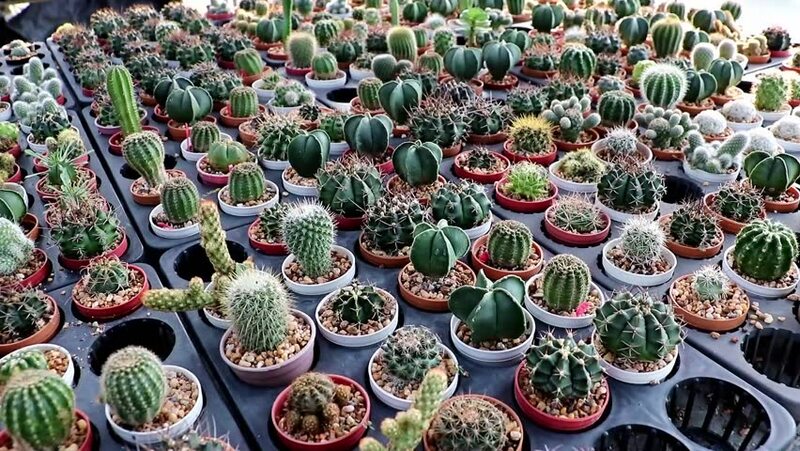 Rows of small cacti in pots, top view. hd00:09BANGKOK, THAILAND, NOV 18 2017, A young woman chooses cactuses in a flower shop. Shopping at Flowers - Cactus Market, Thailand. hd00:08A lines of small cactuses in a pot on the table in the shop, Thailand.